There’s no tough like Ford tough, and there’s no vehicle that embodies that saying as much as the new 2019 Ford F-150! This exceptional vehicle is built to tackle everything the world has to offer you, with over 10 million miles of customer testing. This truck is engineered for the long haul, with a body that’s built to last, and a list of engines that are designed to deliver amazing power and performance. Continue reading to learn more about what this great vehicle offers you! The new 2019 Ford F-150 is made from high-strength, military-grade, aluminum alloy, which is designed to deliver great strength with less weight. Additionally, this body is made to resist corrosion and rust, as the military-grade alloy is more resistant. The frame of the new Ford F-150 also comes with an immersed e-coat solution while an electric charge is applied to the coat at the same time. This forms a durable and protective shell around the Ford F-150's body, helping to stop rust, even in the most hidden of areas! When you think trucks with performance, the new 2019 Ford F-150 likely comes to mind! This exceptional vehicle brings a ton to the table, offering six great engines and a list of excellent performance features for you to enjoy! These engines range from a 3.3-liter Ti-VCT V6 engine, which delivers 290 horsepower and 265 lb-ft of torque, to a 3.5-liter EcoBoost® engine, which delivers 375 horsepower and 470 lb-ft of torque. This is the kind of power that makes the new Ford F-150 the “best-in-class" truck in both work and play, especially when you combine it with the available transmission systems! 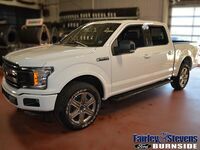 These systems include a 6-speed SelectShift automatic as well as a Ford exclusive 10-speed SelectShift automatic system. You’ll enjoy up to 13,200 lbs of towing power when you combine the above engines and transmission systems! 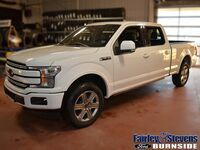 In addition to all the excellent features above, the new 2019 Ford F-150 also has a variety of great technologies to offer you! These range from connectivity features to entertainment systems, all of which are guaranteed to bring a new level to your driving experience! One of these excellent features is the FordPass Connect™ system, which offers a 4G LTE Wi-Fi hotspot! This lets you connect your compatible devices and enjoy great connectivity on the road! 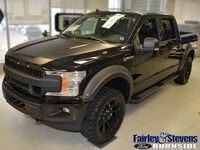 To learn more about this excellent truck and what it can bring to the table for you, contact us at Fairley & Stevens Ford today!